Welcome to Wax Poetry and Art Magazine - Calgary's free arts magazine. as well as contest and event information. 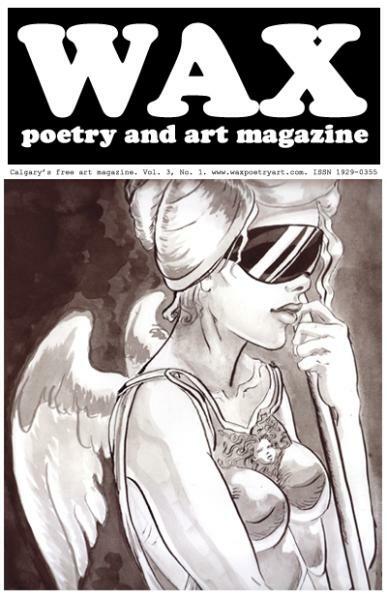 Wax Poetry and Art Magazine - Calgary's free art magazine. Volume 3, Number 1. Spring, 2013. Free. who make this possible. Email info@waxpoetryart.com for advertising inquiries. Cover art: “Athena” by Sarah-Joy Elizabeth. Click the cover to go inside. Click here to go straight to the content.